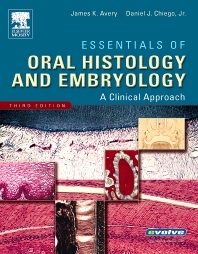 This outstanding book covers all areas of oral histology and embryology pertinent to clinical dental practice. Introductory material includes a complete discussion of the structure and function of the body's cells, as well as the stages of orofacial development from conception to birth. It also covers developmental problems such as cleft lip and palate, specific phases of tooth development, and biofilm substances that form on the surface of teeth. New Clinical Comments boxes and Consider the Patient scenarios help readers apply key concepts to actual practice. Provides a timeline of head and neck structural development from conception to birth and describes possible abnormalities in development, including cleft lip and palate. Describes the definitive stages and normal/abnormal paths of tooth development and maturation. Discusses specific hard and soft oral tissues including periodontal tissues, oral mucosa, TMJ, and parts of teeth (enamel, dentin, dental pulp, cementum) to illustrate how these structures develop and are related. Each chapter begins with a helpful chapter outline and a brief overview of chapter content. Consider the Patient boxes present a short case scenario and then discuss possible solutions at the end of the chapter to demonstrate practical applications of key concepts. Self-evaluation questions at the end of every chapter help readers assess their understanding of the material. Tables and boxes throughout the text make it easy to quickly summarize important information.